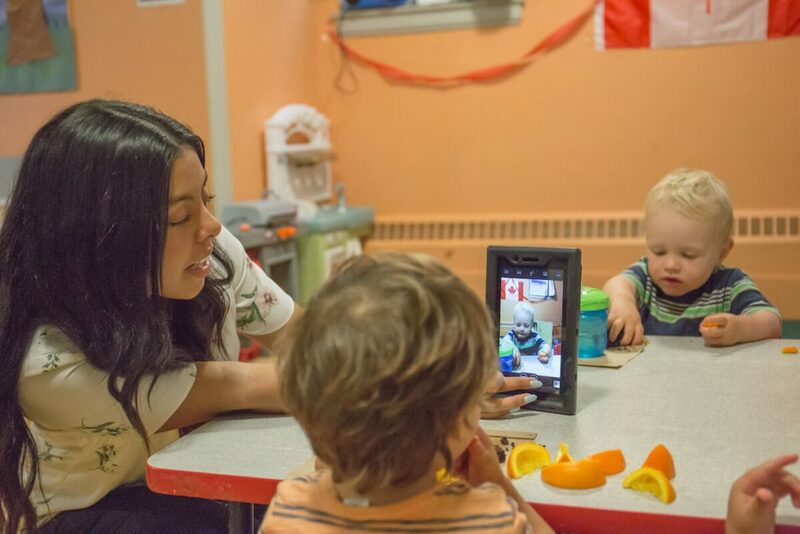 Toronto-based HiMama announced today that it has raised a $7.5 million Series A funding round, as it looks to expand its child care software to address an under-resourced community. The funding round came from Toronto-based venture firm, Round 13 Capital, and marks the first raise for HiMama since it was founded in 2013. Also founded by Alana Frome, HiMama was originally designed as a ‘Slack-style’ communications platform for child care programs and parents. It provided a way to share real-time updates, including photos, videos, and SMS messages through its app. Spreeuwenberg said as the company grew and learned more about the child care sector over the years, it realized there was an increasing opportunity in the market to address other underserved areas of child care. In 2017, HiMama acquired Canadian software company, DailyChildcareReport, adding automated billing, and staff management to its platform. Spreeuwenberg told BetaKit that part of this Series A funding will help the company expand its product offering beyond teachers, as it looks to add more operating features to help administrators and directors of child care programs. Earlier this year, the company launched smart billing for tuition payment processing to make it easier to create tuition plans and invoicing. HiMama also plans to use the funding to build out its curriculum and lesson planning support for teachers. “Right now there is little, to no, curriculum available to early childhood educators and no tools through which they can deliver their curriculum, unlike school-age programs where everything is pretty set,” Spreeuwenberg said. He noted that HiMama can help with more standardization in an industry that has little consistency. He noted that while HiMama has done a lot in this area already, it is looking to use this funding to help expand its planning tools for teachers in order to create more consistency across the industry. As part of the investment, Round 13 Capital’s managing partner, Bruce Croxon, will join HiMama’s board of directors. Croxon is the co-founder and CEO of LavaLife as well as a ‘dragon’ on CBC’s Dragons’ Den. He was also the host of BNN’s The Disruptors, which HiMama appeared on in 2016 after winning the show’s pitch competition. Croxon stated at the time that, as a parent, he could relate to wanting to capture as many moments of his children as possible and mentioned that he didn’t doubt there was a huge market for the product. Founded in Toronto, the platform now boasts customers around the globe, with its biggest markets in Canada and the US. Spreeuwenberg also noted a big following in the Middle East, but said HiMama customers span Europe and Asia as well. Prior to deciding to raise an institutional funding round Spreeuwenberg said HiMama was running capital efficient and bootstrapping as it grew and learned more about the industry it was serving. He noted that over the past three years the company’s revenue has grown by 1,600 percent, which he attributed to product market fit. He also attributed the company’s success, and what differentiates it from its competitors, to how it has executed on opportunities. He pointed to investing in the right places, for example, hiring talent in Toronto and running a company with a focus on positive culture, as well as solving a social issue.